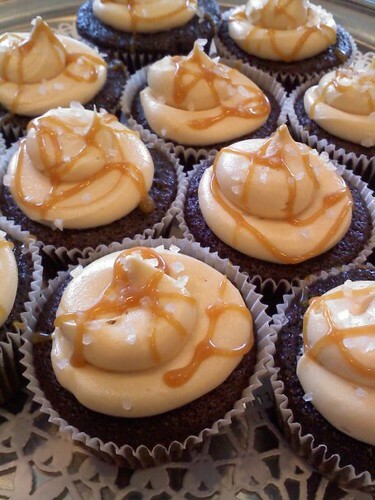 Daniellan Louie of Ivy Bakery posted this photo of her masala chai cupcakes, for sale this weekend: "The cupcake itself is infused with black tea and blended with cardamom, cloves, cinnamon, topped with homemade whipped cream." See www.ivybakery.com and their Facebook page for more information. New Yorkers, mark your calendars: their annual cupcake eating contest is being held April 24th! 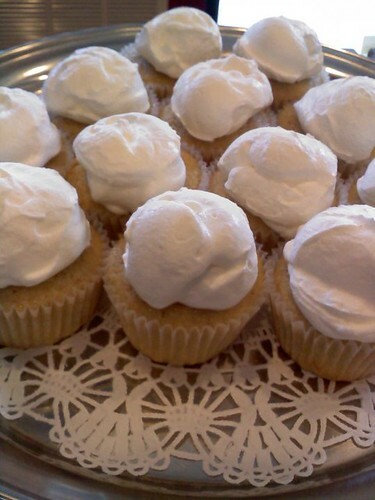 Funny enough - before reading your blog today - I made chai cupcakes with cassis cream cheese topping sprinkled with coconut. Delicious...must have been a chai cupcake weekend - LOL! !